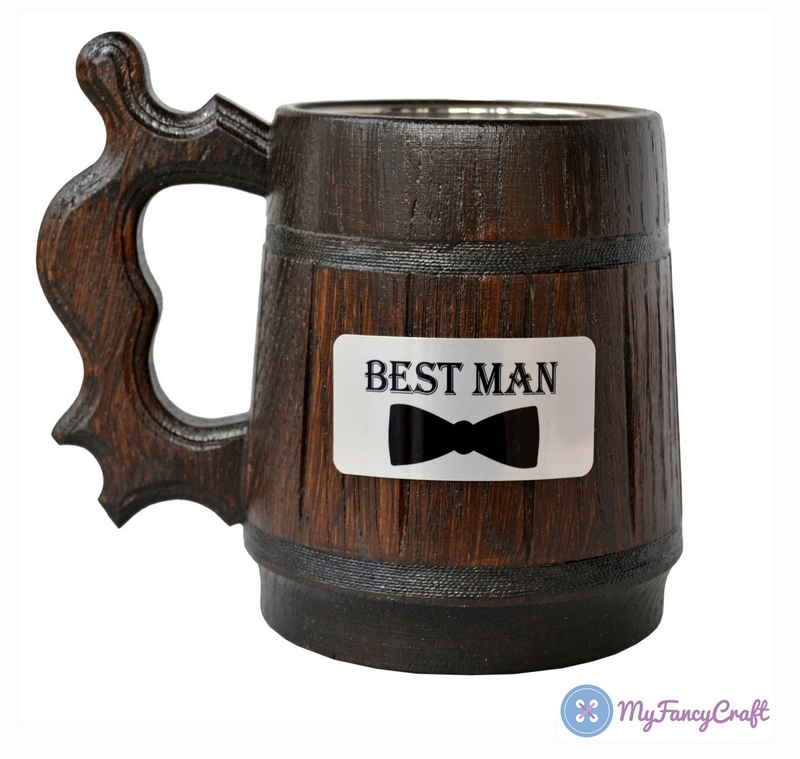 GREAT GIFT IDEA FOR BEST MAN! CREATIVE WEDDING PHOTOS! 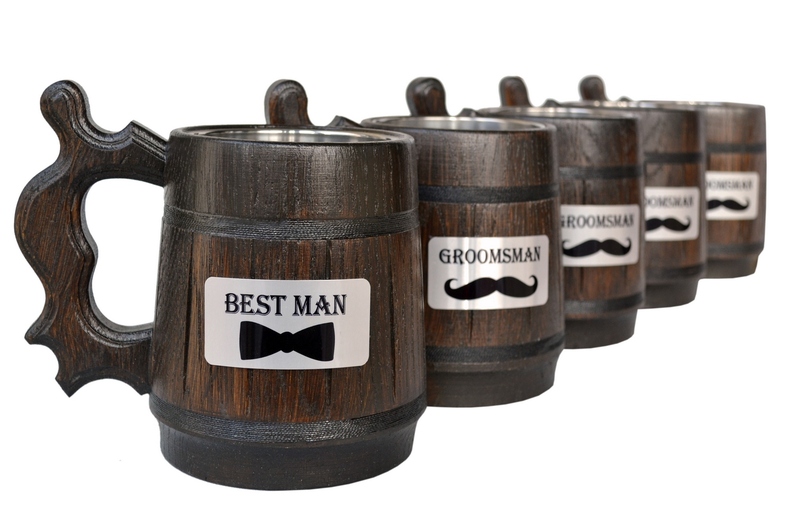 These beer mugs will be an essential element for your wedding or bachelor party. Сapacity of the mug: 600 ml (20 oz)! WILL YOU BE MY BEST MAN? Great idea for asking such a significant question:) You can send it in the Gift Box, in which the beer mugs are packed. 100% QUALITY! 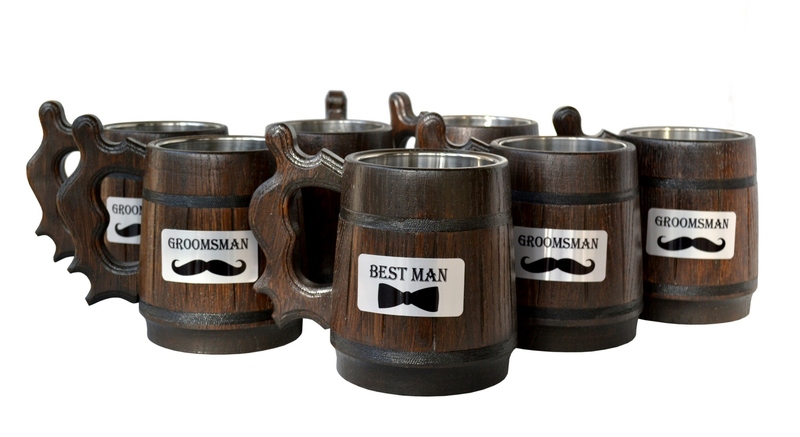 This Beer Mug is made of oak wood & polished, metal (stainless steel) flask inside. Our craftsman uses non-toxic, hazard free paint, intended for the long-term protection of wood. After that, the wood is ​covered with a water-based varnish, which is also absolutely safe for health. Please, read care instructions before using our handmade mugs. BEAUTIFUL, MEDIEVAL STYLE & PRACTICAL! Handmade oak wood mug accomplished in a dark brown color. 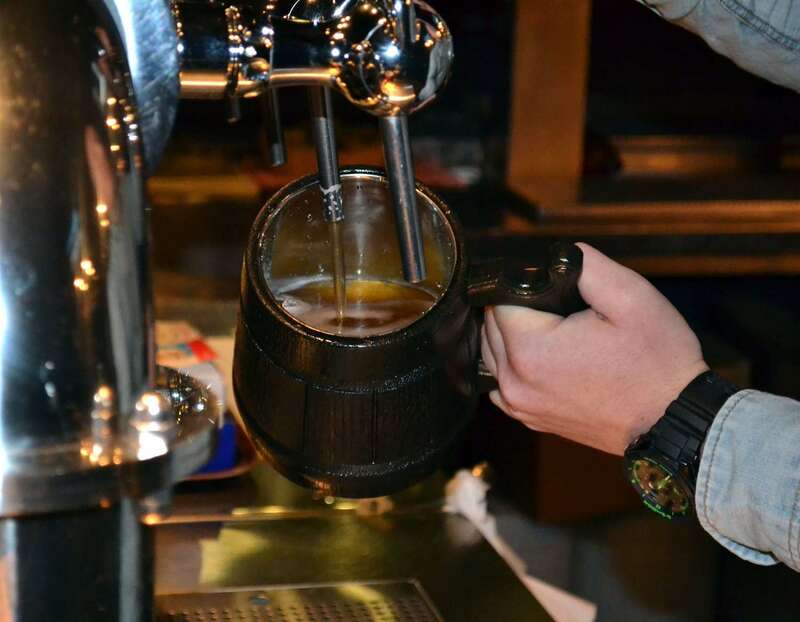 The stainless steel cup inside the mug will keep the temperature of the beer colder, for a longer period of time during the summer & the temperature of hot coffee or tea in cold winter. FOR ALL TRUE BEER LOVERS! 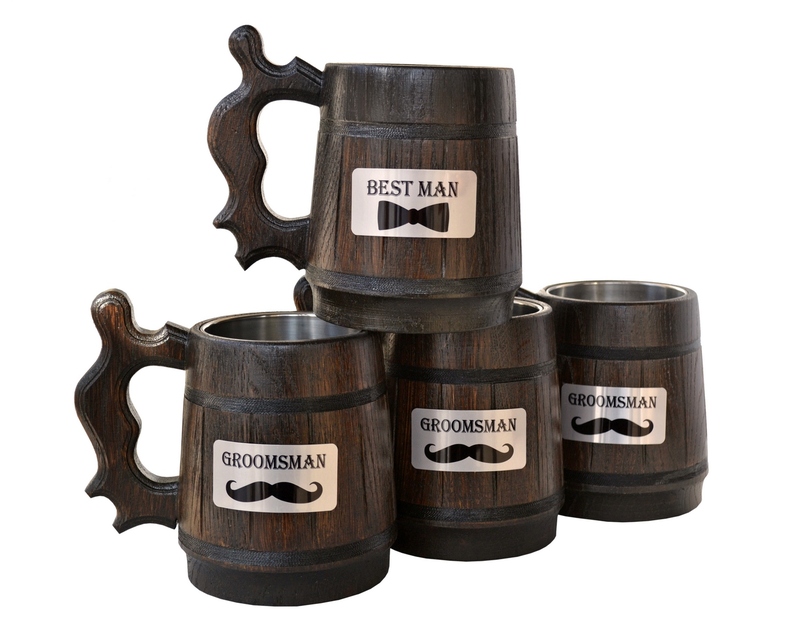 All enthusiasts of beer along with fans of football or soccer; medieval fantasy novels and roleplaying games; or just lovers of renaissance stylish and carefully handcrafted oak wooden mugs will definitely adore such gifts! 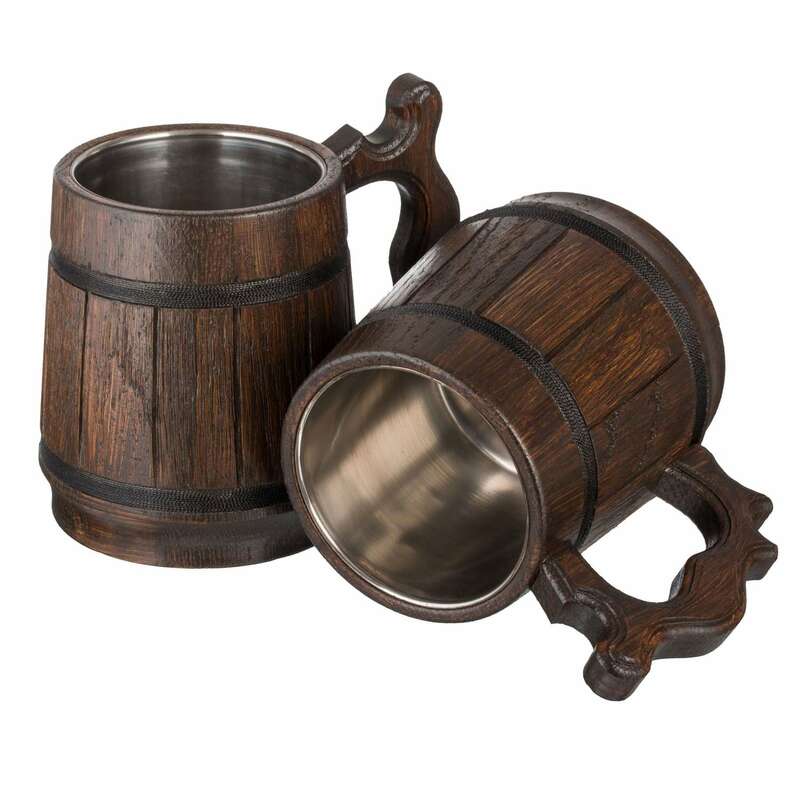 This 20 oz Beer Mug is made of oak wood & polished, metal (stainless steel) flask inside. Our craftsman uses non-toxic, hazard free paint, intended for the long-term protection of wood. After that, the wood is ​covered with a water-based varnish, which is also absolutely safe for health. 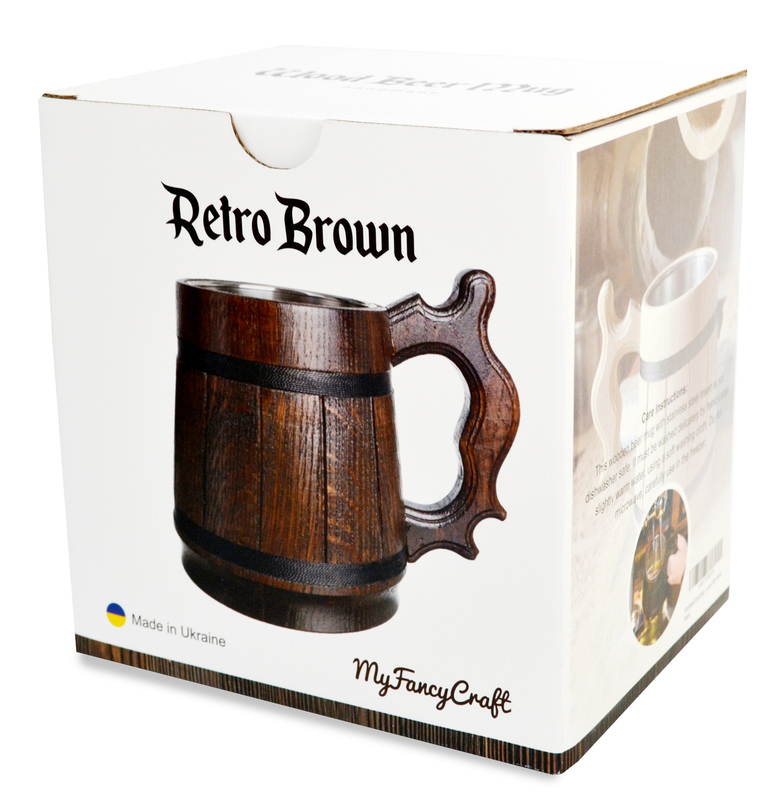 The stainless steel cup inside the wooden mug will keep the temperature of the beer colder, for a longer period of time during the summer & the temperature of hot coffee or tea in cold winter. Give your loved ones beautiful things and pleasant moments! Only hand wash! Use soft sponges wile washing the mug. Do not use strong chemicals when washing. Do not leave wooden items in a container with water for a long time. Do not dry the mug in a dryer. Wipe it with a towel after each time you wash it. Do not store wooden goods near the heating devices or leave them in the sun, the wood dries out and later cracks may appear.